There is something awe inspiring about abandoned building photographs - they get the mind racing and always leave a question of life after death. Take a look at these impressive pictures from photographer Jan Bommes. Click each picture to be taken to the photographer's blog for more images. The thing about eyesight is, is that we all too often take it for granted. We see the same objects every day in the same way and they begin to blend in to the background. There is something sad in that in a way, which is why today we are going to take a look at six incredible pictures of every day things, to force you to re-evaluate. Harkening back to the stone age, when cavemen had to use animal parts to build their digital cameras, Swiss artists Taiyo Onorato and Nico Krebs used turtles, armadillos and horns to fabricate the build for theses functioning digital camera. While a functional camera it is not, this impressively detailed DSLR camera was made entirely using LEGO bricks. Everything down to the LEGO tank tread strap was crafted using LEGO products. The Socialmatic, designed to resemble the Instagram logo, will ship with a built-in printer (for printing out your own snapshots). Each photo will have a spot to write your own message, and will have a sticky strip on the back, much like a post-it note. You probably don't know this, but February 12th, 1984 was an incredible day for space exploration. No, we didn't discover a new galaxy, or make a huge technological advancement in the area of extraterrestrial communication. 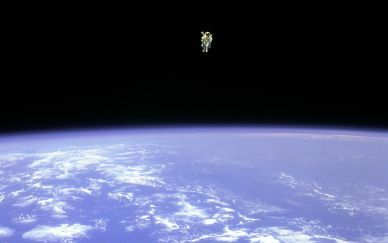 However, an astronaut did attempt the first-ever exploratory maneuver that took him further away from his ship than had ever been attempted. Remember comet Elenin, which some internet bloggers claimed was a sign of the coming apocalypse? Well, the tiny 1.2 mile rock has apparently disintegrated, and won't be seen again for a long, long time. Want to see what 14,000 stars looks like? 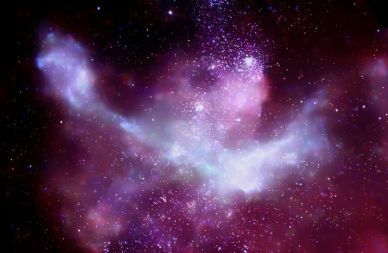 Check out this photo from NASA of the Carina Nebula. This amazing photo is from the Chandra X-Ray Observatory, which has provided us with some of the most stunning (and surprising) space photos to date. 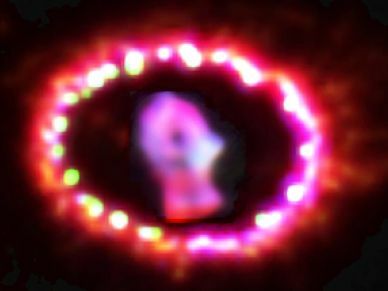 An amazing new X-Ray photo of a nearby supernova has astronomers extremely interested -- since it shows the transition of a supernova into a supernova remnant. The Cassini spacecraft has been sending incredible space photos back to Earth for many years. 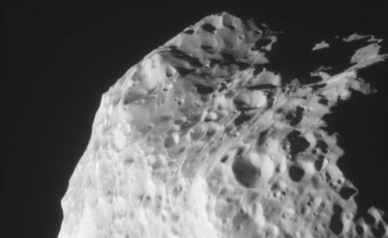 The latest photos from Cassini are of Saturn's odd-shaped moon Hyperion, which tumbles around Saturn in an irregular orbit.